parent organization! MacsWest is a Computers West User Group, as is the PC Group. Read the minutes of the April General Meeting. Many thanks to MacsWest Secretary Clyde Johnson for recording and preparing them. Teaching, Helping, Learning and Having Fun! Obviously, it would do Apple very little good to release a charging mat that caused devices to overheat, perhaps even to the point of damage. So, it has canceled the project. Today we see updates for all your Apple devices — Mac, iPhone, iPad, Apple TV and even Apple Watch. Almost all of Apple’s big announcements today were software-based — the titanium Apple Card and the new TV shows were the exceptions — but very few of those announcements will be available today, or even soon. In the U.S. and Canada, you’ll be able to sign up for the new Apple News+ subscription today, but that’s about it. Let’s see what else is new. The new iOS 12.2 is available now. AirPlay 2 and HomeKit support for third-party TVs. Support for Hey Siri with AirPods 2. Apple Pay for transit in some U.S. cities. Apple Card support, and new Apple Pay Cash interface. Air Quality display in the Maps app. Automatic dark mode activation in Safari (for websites that have dark themes available). Ask Siri to play specific media from an iPhone or iPad. Apple today released macOS Mojave 10.14.4, the fourth update to the macOS Mojave operating system that first launched in September. macOS 10.14.4 comes more than two months after the release of macOS Mojave 10.14.3, a minor bug fix update. macOS Mojave 10.14.4 can be downloaded by going to the "Software Update" section of System Preferences. The update is free for all Mac users who have a machine that supports it. macOS Mojave 10.14.4 introduces support for the new Apple News+ subscription service that is designed to allow Apple News users to sign up for unlimited access to news and magazines for a monthly fee. The update also brings Apple News to Canada, allowing Canadian Mac users to access news stories in French, English, or both. - Apple News+ is available in the U.S. and Canada, with dozens of additional Canadian Magazines. Apple has finally refreshed its regular iMac desktops, offering new processors and graphics chips for the 21.5-inch and 27-inch models. The 21.5-inch iMac now features either an 8th Gen quad-core i3 or six-core i5 processor and either a Radeon Pro 555X GPU or a Radeon Pro 560X by default. But customers who want more power can configure a custom model with up to a six-core i7 processor, 32GB of RAM, and AMD’s Radeon Pro Vega 20 GPU (with 4GB of memory). It’s similar spec options to what Apple already has on the refreshed Mac Mini — just with a 4K display built-in. The 27-inch iMac can gets Intel’s six core i5 processor to start across the board — 8th Gen on the two lower configurations, and 9th Gen on the highest, $2,299 prebuilt option, although Apple is also offering upgrades to Intel’s latest 9th Gen, eight-core i9 processor processors (for a price.) Graphics on the 27-inch models are Radeon Pro 570X, 575X, and 580X GPUs for prebuilt models, although AMD’s Radeon Pro Vega 48 GPU (with 8GB of memory) is available as custom option for the highest configuration. New York (CNN Business) — Apple on Monday quietly announced new versions the iPad Air and iPad mini, the company's first refresh for those products in years. Typically Apple (AAPL) creates fanfare around the arrival of new hardware. But this year it wants the focus of its upcoming spring press event to be on its rumored streaming service. That's why the company let the world know about its new iPads in a press release. We’re hearing rumors today that Apple may have set the WWDC 2019 dates for June 3-7 in San Jose. While the dates may prove to be accurate, registration isn’t open yet for Apple’s annual developer conference that should unveil a Dark Mode for iOS 13, details about macOS 10.15, and more. That puts the conference on the same week as last year, however, MR notes that “Apple could change its plans at any time.” Last year, Apple officially announced its WWDC dates in the middle of March, and also opened up registration at the same time. MR also includes a disclaimer about not being liable for travel plans, so it’s probably for the best to wait until Apple makes the official announcement to make any commitments. Apple is expected to unveil iOS 13 and macOS 10.15 among other major software updates at WWDC 2019. We’ve been hearing more news about what iOS 13 could offer, including a long-awaited and highly anticipated Dark Mode. Check out our recent coverage of what we could see with a native iOS dark theme. The phrase “real Photoshop” came up several times during my week-long preview of an early version of the software giant’s long-awaited app. The underlying code is the same as desktop Photoshop, and although the interface has been rethought for the iPad, the same core tools line the edges of the screen. But the biggest change of all is a total rethinking of the classic .psd file for the cloud, which will turn using Photoshop into something much more like Google Docs. Photoshop for the iPad is a big deal, but Cloud PSD is the change that will let Adobe bring Photoshop everywhere. Bringing a program like Photoshop to the iPad is a monumental task. The project started 18 months ago when two Adobe engineers asked to carve out time to bring the Photoshop codebase to the iPad. “There was just a lot of doubt until what we call the “proof of life” moment,” says Scott Belsky, Adobe’s chief product officer. Senior director Pam Clark agrees: “We fully admit we were surprised when the engineers showed up, and it was quite powerful and smooth.” That “proof of life” product inspired the design team to start focusing on the app’s user experience, with each new build focusing on a different Photoshop workflow. NEW YORK (AP) — New privacy features in Apple’s Safari browser seek to make it tougher for companies such as Facebook to track you. Companies have long used cookies to remember your past visits. This can be helpful for saving sign-in details and preferences. But now they’re also being used to profile you in order to fine-tune advertising to your tastes and interests. Cookie use goes beyond visiting a particular website. As other sites embed Facebook “like” and “share” buttons, for instance, Facebook’s servers are being pinged and can access your stored cookies. That means Facebook now knows you frequent celebrity gossip sites or read news with a certain political bent. Ads can be tailored to that. Here’s how Safari is getting tougher in dealing with that. Safari used to wait 24 hours from your last visit to a service before blocking that service’s cookies on third-party sites. That effectively exempted Facebook, Google and other services that people visited daily. Now, Safari will either block the cookie automatically or prompt you for permission. 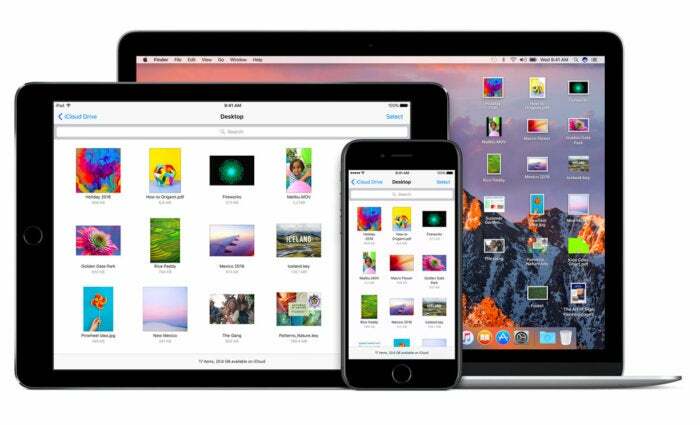 Apple says Safari will still be able to remember sign-in details and other preferences, though some websites have had to adjust their coding. Browsers typically reveal seemingly innocuous information about your device, such as the operating system used and fonts installed. Websites use this to make minor adjustments in formatting so that pages display properly. Browsers have historically made a lot of information available, largely because it seemed harmless. Now it’s clear that all this data, taken together, can be used to uniquely identify you. Safari will now hide many of those specifics so that you will look no different from the rest. It’s like a system that digitally blurs someone’s image, said Lance Cottrell, creator of the privacy service Anonymizer. “You can tell it’s a person and not a dog, but you can’t recognize a person’s face,” he said. For instance, Safari will reveal only the fonts that ship with the machine, not any custom fonts installed. When visiting a website, the browser usually sends the web address for the page you were just on. This address can be quite detailed and reveal the specific product you were exploring at an e-commerce site, for instance. Now, Safari will just pass on the main domain name for that site. So it would be just “Amazon.com” rather than the specific product page at Amazon. Some ad companies have sought to bypass restrictions on third-party cookies — that is, identifiers left by advertisers — by using a trick that routed them through a series of websites. That could make a third-party cookie look like it belonged to a site you’re visiting. Safari will now try to catch that. The changes come Tuesday as part of the iOS 12 update for iPhones and iPads and a week later in the Mojave update for Mac computers. Many of the safeguards will be limited to cookies that Apple deems to be trackers. That’s being done to reduce the likelihood of inadvertently blocking legitimate third-party cookies. Even Apple's budget iPhone XR, which is designed to appeal to more customers, has a 6.1-inch screen. Going into the Apple keynote pricing was the biggest mystery. Apple's iPhone XS Max eclipsed the price ceiling of $1,249.99 set by Samsung's Galaxy Note 9at 512GB of storage, but also offered a compelling value for the iPhone XR. What's a Retina Display worth to you? The new smartwatch is set to bring a series of new features to your wrist and a 30 percent larger screen. If your heart's beating faster, the new Apple Watch Series 4 will be able to tell. The latest Apple Watch packs several new features, with the most obvious change on its surface: a redesigned face to put much more screen on your wrist. The tech giant on Wednesday unveiled its new Apple Watch Series 4 from the Steve Jobs Theater in its Apple Park headquarters. The new watch has a larger face, and features its own Electrocardiogram and Fall Detection. It'll also have new speakers and a processor chip that boasts much faster speeds for the watch. It'll start at $399 for the Series 4 model, $499 for the LTE model. Preorders will start on Sept. 14, and the watches will be available on Sept. 21. Less than one year since it was released, Apple has discontinued the iPhone X with the introduction of its three new iPhones today. With the iPhone XS starting at a price of $999, and the addition of the cheaper $749 iPhone XR announced today, the iPhone X has become redundant. The iPhone SE and 6s have been removed from Apple’s website as well, marking the end of iPhones with headphone jacks. Despite rumors of low sales since its launch, Apple earnings showed that the iPhone X actually sold quite well. CEO Tim Cook said in February, “iPhone X surpassed our expectations and has been our top-selling iPhone every week since it shipped in November.” Still, with the new iPhone XS, XS Max, and iPhone XR, it makes sense for Apple to remove the iPhone X from the lineup. Though the iPhone X, SE, and 6s have all been removed from the US market, it doesn’t rule out the sale of these older devices in developing markets like India. There’s no longer a good reason to shell out for the more expensive iPhone X, except maybe the exclusivity of owning a phone that was ushered in with the 10th anniversary of the original iPhone. It was the first to introduce the now-ubiquitous notch that’s influenced the entire mobile industry with a wave of copycat designs, and the first iPhone with Face ID. It introduced intuitive gesture controls and with the phone came wireless charging, plus AirPods. It definitely wasn’t a perfect phone; the lack of a headphone jack still bothers me and I take plenty of accidental screenshots daily with my iPhone X. But now that it’s being discontinued, I might try to hold onto it for a little longer. Last week Apple released new versions of Pages, Numbers, and Keynote for iOS. One of the significant updates in these versions, all version 4.0, is that you can use the Apple pencil now to draw directly in Pages, Numbers, and Keynote. It works a little differently between the apps. Apple has an entire section dedicated to helping you take great photos with your iPhones. Each video tutorial is under a minute. Click here to go to the Apple Video Site. (Reuters) - Apple Inc (AAPL.O) on Friday said component failure in a limited number of MacBook Pros has caused built-in battery to expand, adding, it will offer worldwide free replacement for such batteries. Want a new Apple device but don't want to shell out for a full-priced version? Consider a refurbished model instead. It only takes a minute or two to set up. 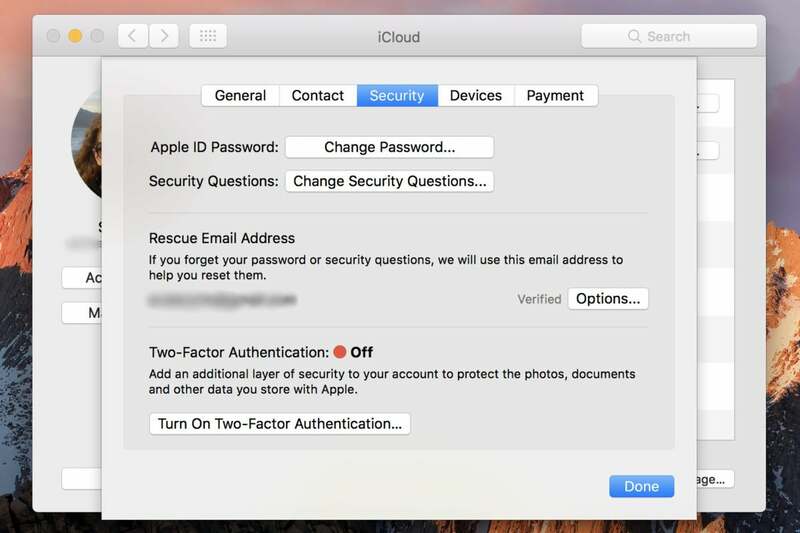 If you aren’t using two-factor authentication to protect your Apple ID and iCloud account, you really should do it today. Hackers who claim to have millions of stolen iCloud credentials are demanding Apple pay a ransom or they’ll release them—and ZDNet obtained a sample set of credentials and determined they’re real. But guess what? Using two-factor authentication should protect you completely. It’s easy to set up, so take a minute and do it now. Follow these steps on an iPad, iPhone, or iPod touch running iOS 9 or later. The iOS device must be protected with a passcode (Settings > Touch ID and Passcode). Tap your Apple ID. It doesn’t really look like a button, but it is. Then tap Password & Security in the next menu. Tap Turn on two-factor authentication. You’ll see an explanation screen, and tap Continue. You may be asked to verify your identity by answering the security questions you set up when you created your Apple ID. 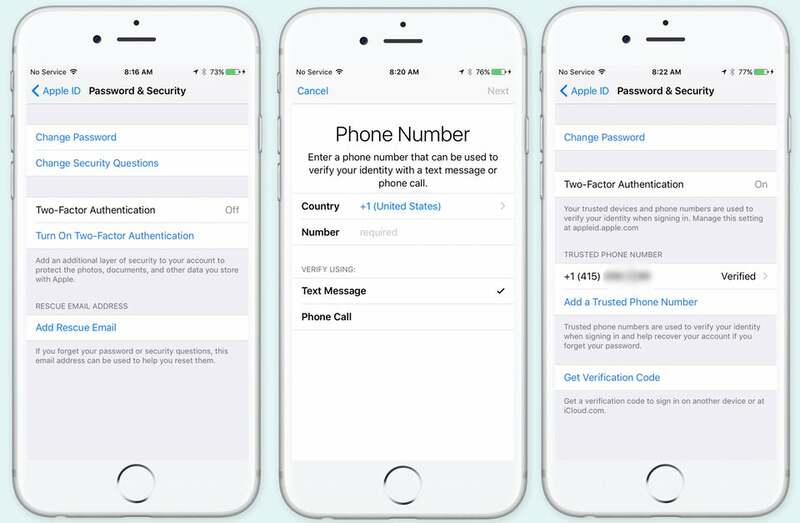 Next, enter a phone number where you can receive a text message or a phone call with a two-factor code. You can also specify if you want a text or a call. Then you’ll get that text message or call, and enter the six-digit verification code on the next screen. That’s it! Two-factor is on, and this is your official Trusted Device. 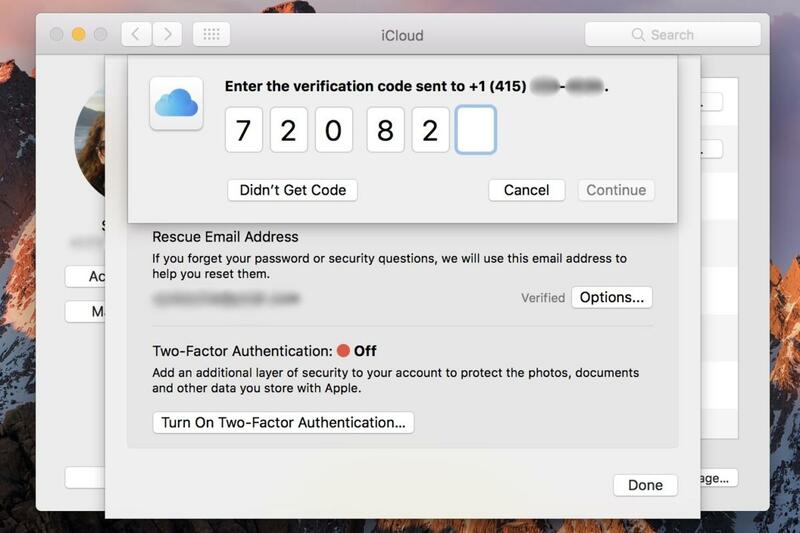 The next time you sign on to iCloud.com, or set up your iCloud account on a new device, you’ll have to first enter your username and password, and then be prompted to enter a code. That code will come in a pop-up on your trusted device, texted/phoned to the number you provided, or, you can come back to this screen and tap Get Verification Code. Setting this up on a Mac is nearly the same steps as on an iOS device. The Mac must be running OS X 10.11, El Capitan. Open System Preferences and select iCloud. Click the Account Details button, and sign in if prompted. In the Security tab, click the button labeled Turn on two-factor authentication. Read the message and click Continue. Verify your identity by answering your security questions. Enter a phone number you can use to receive verification codes, and choose if you want to get text messages or calls. Enter the code that’s sent you to right away to finish up. What if my device is too old? 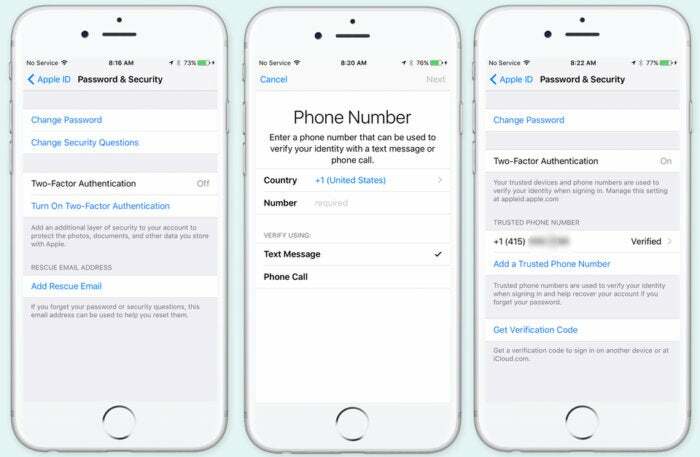 If your Mac isn’t running El Capitan, or your iOS device isn’t running iOS 9, you can still use two-step verification, which is slightly different than two-factor authentication, mostly because it relies on a text message being sent to a phone number, while the newer “authentication” is baked more seamlessly into the OSes. Plus, the older verification method requires you to hold onto a Recovery Key in case you ever lose your password. Two-step verification always sends you a text message. 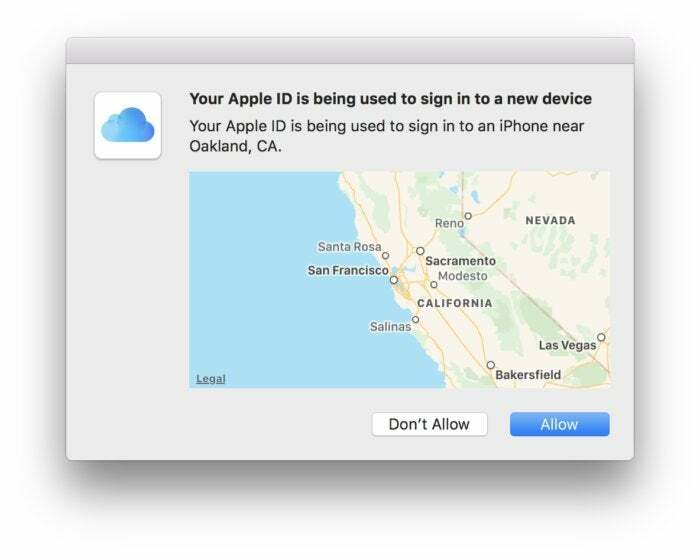 With the newer two-factor authentication, you'll get this cool pop-up on nearby trusted devices signed in to the same iCloud account. You can read more about the differences from Apple as well as from our own Glenn Fleishman. Apple still provides a way to enable two-step verification, by following this link, signing in, and following the instructions. Another new wrinkle for Apple TV, is the ability for Siri to tune into live video streaming apps, and control third-party apps. Live tune-in with Siri is available now, while single sign-on and the TV app will arrive through a software update in December. Update: Now that the feature has been officially revealed, Netflix confirmed last night's rumor that it won't be included. According to a spokesperson that it is "evaluating the opportunity, so this could change in the future, but for now it looks like you won't find Stranger Things, Luke Cage or the new season of Black Mirror in Apple's refashioned TV guide. • Watch Now: Watch Now is where viewers will see their collection of available shows and movies from iTunes® and apps. From Watch Now, viewers can then go to Up Next or Recommended to choose what to watch. • Up Next: Users can enjoy the shows and movies they are currently watching, including recent iTunes rentals and purchases — all presented in the order they are most likely to watch first. For example, when viewers finish an episode, the next one will automatically appear at the start of the Up Next queue, as will any new episodes as they become available. At any time, users can simply ask Siri to continue watching a show and immediately pick up where they left off. • Recommended: Viewers can explore a great selection of curated and trending shows and movies, including collections handpicked by Apple's curators, and dedicated categories and genres such as kids, sci-fi and comedy. • Library: Viewers can access their entire collection of iTunes movies and TV shows that they have rented or purchased on iTunes. • Store: If users are looking for something new, they can check out the Store to discover great new content across video services that they have not yet downloaded or are not yet subscribed to, along with the latest releases on iTunes. Apple CEO Tim Cook has called 2015 “the year of Apple Pay," referring to the company’s highly successful mobile payments system, which was developed across several years. Apple Pay works with iPhone 6, iPhone 6 Plus and an Apple Watch that’s paired with an iPhone 5 or later series device. Launch the Passbook app (soon to be called Wallet). There are a couple of ways to set up Apple Pay for your card. Use your iSight camera to scan your card in order to enter your card information. Enter the Name, Card Number, Expiration Date and Security Code from your card. Tap Next. In some cases, your card will be verified with your bank, which may require you make or receive a call and/or enter a code sent to you via SMS. Your verified card will appear at the top of Passbook & Apple Pay section of settings. Open the Apple Watch app on your iPhone and select Passbook & Apple Pay. Tap ‘Add a Credit or Debit Card." To add the card you already use with iTunes just enter the security code. You can also add a card using the iSight camera on your iPhone or type details manually (as above). In theory, Apple Pay works in any store that accepts NFC payments, usually shown by the ‘Contactless’ (tap and pay) symbol on the payment machine. You can already use it internationally if you have an account with a supporting bank. You can also use Apple Pay to pay with a single touch within apps – just look for the Buy with Apple Pay icon. To pay with Apple Watch: Double-click the side button and hold the face of your Apple Watch up to the contactless reader. A gentle tap and a beep confirm that your payment information has been sent. If you have multiple cards, you can browse through all available payment cards in Passbook on your iPhone or Apple Watch. If you want to remove a card from Apple Pay to go to Settings>Passbook & Apple pay, tap the card that you want to remove and then select Remove Card. You can change the address email, or phone number you use for paying within apps Settings > Passbook & Apple Pay to update your information. Step 5: Is it safe? Apple likes to say its system is safer than existing chip-and-pin system, and may have a point. Whenever you use a card to pay, your card number and identity are visible. Apple Pay uses a a unique Device Account Number to replace your actual credit and debit card numbers, so your real identity and card number details are not shared. And if you lose your iOS device, you can use Find My iPhone to suspend Apple Pay or wipe your device. You can also remove your cards from Apple Pay on iCloud.com. Just sign in, click Settings, choose your device, and remove your cards in the Apple Pay section. 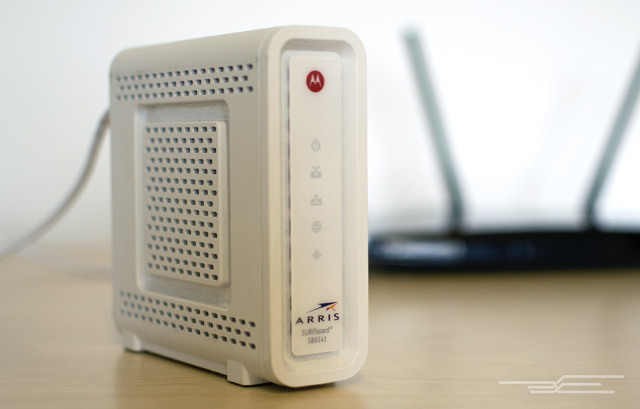 After researching 57 different cable modems, the $90 ARRIS / Motorola SurfBoard SB6141 DOCSIS 3.0 remains the cable modem we recommend for most people. If instead of renting from your ISP, you buy your own cable modem, you can get a better device and recoup the cost in as little as a year—and then start saving anywhere from $6-$10 each month, depending on your ISP's rental fees. Yes, you can probably find a slightly cheaper cable modem that only works with your ISP. We prefer our pick because its flexibility makes it a better long-term investment if you change service during the lifetime of the device. Unlike the competition, the SurfBoard is compatible with almost all of the fastest Internet plans from seven of the eight biggest cable Internet providers, including Charter, Comcast, and Time Warner Cable. You can move almost wherever you want and be assured that this buy-once, use-for-awhile device will still work. And you get the flexibility to switch providers if there's a better deal in your area. Want to have the Macswest calendar appear in your iCal calendar? Do the following. Open iCal on your Mac, Click on Calendar then Subscribe. A window will open, copy and paste the following URL then click Subscribe. That’s all there is to it.